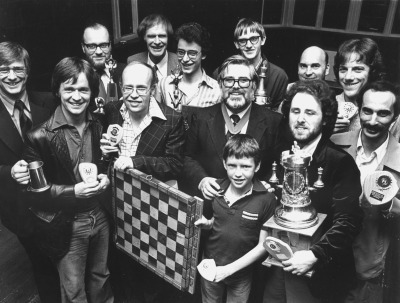 Charlton Chess Club was founded in 1933 and has met at Charlton House for most of its history. Former club chairman Peter Hannan was a member for over fifty years and our youngest member is aged seven. 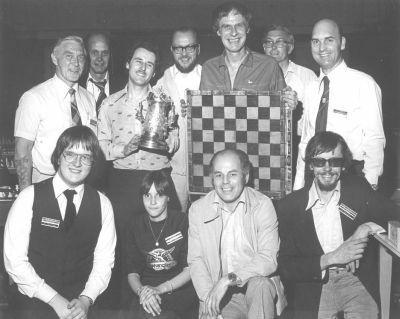 At one time Charlton boasted one of the strongest teams in the country and several grandmasters have played for us; notably David Bronstein, Murray Chandler, Nigel Davies, Neil McDonald and Danny Gormally. The last was a member for several years and we claim modest credit for his improvement following the thousands of blitz games he played at the club. Our record includes winning Division 1 of the London League three times (1978, 1979 and 1996), and many successes in the different divisions of the Kent League (lastly winning the Lewis Cup in 2015). 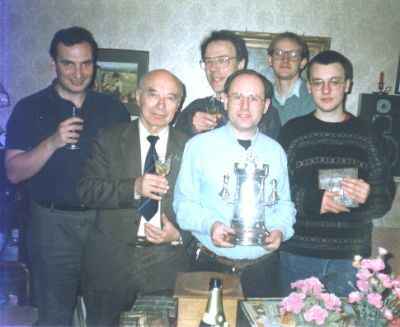 Five of those in the photograph are still club members, thirty years later! 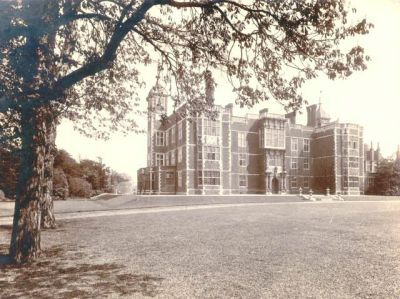 The Charlton Congress was held one weekend every summer until 1989, with several hundred entries each year. Here are Charlton Congress organisers in 1978, including two current members, holding the Kent County Cup and London League Division 1 trophies. 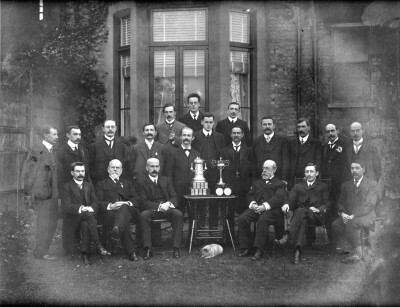 Lee Chess Club with the Kent County Cup and Lewis Cup, about 1909. Its best player O.C.Müller (standing, fourth from left) played in several master tournaments between 1890 and 1925. Lee Chess Club no longer exists, but was the top team in the area a century ago. 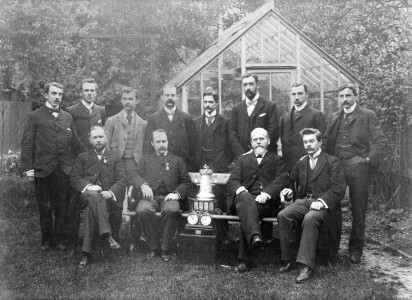 Here they are shown with the Kent County Cup, probably in 1899.